You can read the full article on p45 at e-Metro (originally published in Metro on 11 December 2015). While the U.S.A supposedly won the space race – with the admittedly impressive feat of putting a man on the moon – It was the Soviet Union that led the way with practically every other space ‘first’. The Soviets were behind the first satellite in orbit (Sputnik 1), first man in space (Yuri Gagarin), first woman (Valentina Tereshkova), first dog (Laika) and first spacewalk (Alexey Leonov). What’s more, it was also responsible for the first photos of the dark side of the moon (Luna 3), first probe to orbit the moon (Luna 10), first multi-person crew (Voskhod 1) and first space tourist (Dennis Tito on Soyuz TM-32). Even following the Apollo moon landings, it was the Soviet Union that was the first to build a space station (Mir). However, until now Soviet and Russian space tech has been wildly underrepresented, especially at London’s Science Museum, with its permanent space gallery including only a passing mention. The South Kensington institution is putting that right with its museum-based form of Perestroika in which curators have gathered together the largest collection of Russian space exploration artefacts ever seen. Brought in from numerous locations, most of the pieces on show have never been on public display before. The impressive selection of artefacts ranges from early satellites and spacecraft to personal cosmonaut memorabilia and Soviet space propaganda. Techie highlights include Tereshkova’s Vostok 6 capsule, visibly charred from its re-entry into Earth’s atmosphere, along with first multi-person space craft Voskhod 1 and the spacesuit used by Helen Sharman who became the first Briton in space when she flew to space station Mir in 1991 on a collaborative mission between Russia and a collective of British companies. A scale model of the stunning Sputnik 1 hangs from the ceiling as you enter the exhibition. The Soviet Union’s visionary rocket engineer Sergei Korolev, then only known as the mysterious ‘Chief Designer’ cannily declared that the history-making satellite needed to look good as one day it would be displayed in museums around the world. Seeing numerous parties of school kids arriving at the Science Museum reminded us how just important this exhibition is. When the T3 crew were at school in the dying days of the Cold War, we were taught about Gagarin and Tereshkova and not much else. It wasn’t until 1989, with Mikhail Gorbachev’s Glasnost reforms in full swing, that the Soviet Union even admitted that it had worked on a manned lunar programme, which it ditched in 1970 after Neil Armstrong beat them to the moon. You can read the rest of the article at T3.com (originally published 13 October 2015). 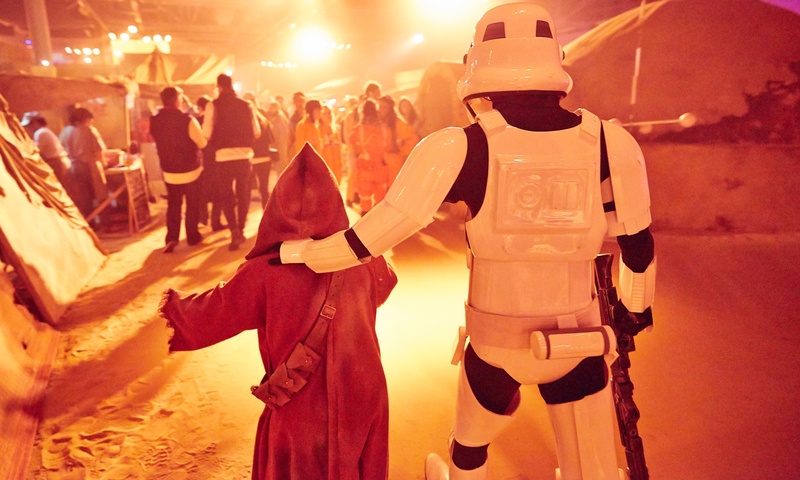 T3 was invited to join the rest of the rebel scum at this year’s Secret Cinema: The Empire Strikes Back extravaganza. This is a spoiler-free look at the clandestine film club’s latest outing, so if you haven’t been yet, don’t worry, this won’t ruin any surprises. Secret Cinema first kicked off back in 2007 with a screening of Gus Van Sant’s Paranoid Park. In its early years, the gimmick was that nobody knew what the film was going to be until they arrived at the screening location (though they could often be guessed from a series of pre-show clues). More recent shows have changed format to include a pre-announced film, plus a much more ‘immersive theatre’ approach, replete with sets, actors dressed as Marty McFly or whoever, and so on. Obviously unperturbed by the price, in 2014, over 80,000 people attended Secret Cinema’s Back to the Future event in Olympic Park. This ran into initial controversy when the venue wasn’t ready for the opening night, leaving hundreds of ticket holders disappointed. Secret Cinema has clearly learnt from its mistakes, because there are no such problems this year. 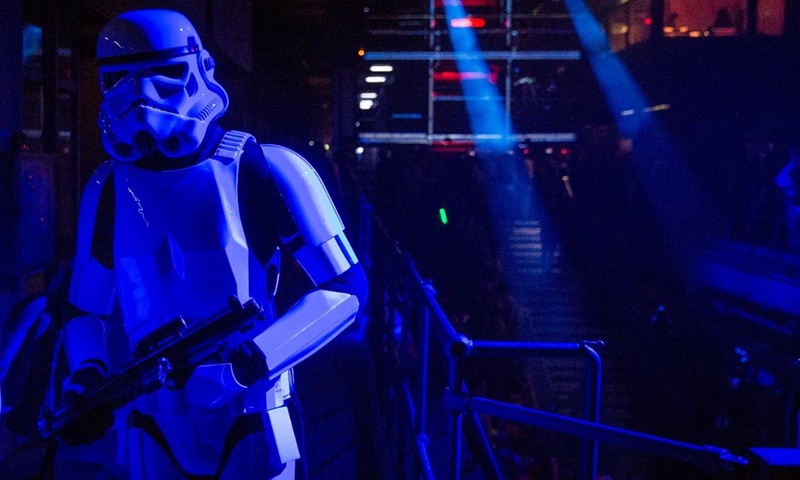 This time round Secret Cinema has opted for The Empire Strikes Back, which ties in nicely with the latest instalment of the Star Wars saga (The Force Awakens) which is heading to cinemas later in the year. Read on for our search droid’s findings. As everyone knows, the first rule of Secret Cinema is that you don’t talk about Secret Cinema. You’re not allowed to bring food or drink in with you but there are plenty of “retail experiences” dotted throughout, selling booze, food and merch. Unsurprisingly, rations are not cheap, and you can’t pay cash for them. Take a cash card with you. You can read the rest of the article at T3.com (originally published 12 June 2015). What has spaceflight ever done for us? A hell of a lot, actually – and aside from trying to get humans to Mars, NASA’s technology has trickled down to a host of wearable gadgets. NASA makes a huge investment in technology and each year it releases a report called Spinoff. This details all of the innovations that have been developed as a result of space travel, from Sony’s latest ‘magnetic fluid’ speakers to more realistic 3D mapping in video games like SSX. NASA estimates that over the last decade or so, its spinoff innovations have saved 449,850 lives, created 18,888 jobs and created $5.2 billion of revenue. NASA was in need of a gadget with real-time sensors for astronauts to track their own physiological symptoms in order to prevent vomiting caused by microgravity. Step forward Maryland-based Zephyr Technology which developed a product for the space programme, while also giving it the opportunity to improve its own technology. 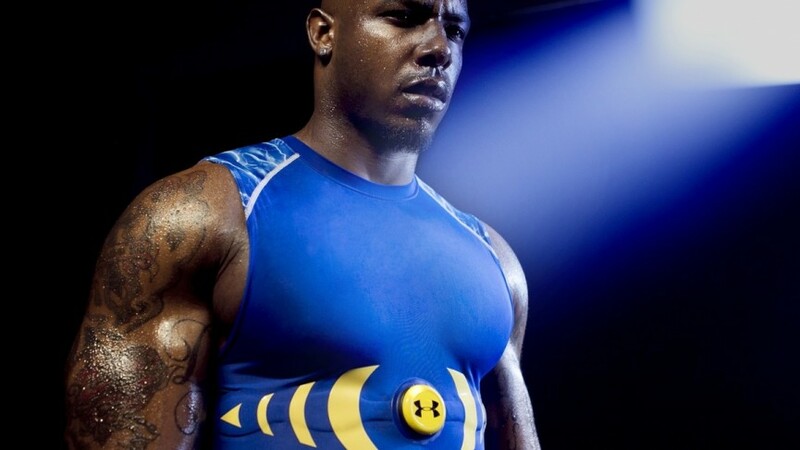 The Bioharness is now used for tracking health and fitness by the US military, firefighters and several pro sports teams in the NBA, NHL and NLB as well as numerous college teams. Famous US underwear maker Jockey’s Staycool range was created using the ‘phase change materials’ that NASA developed for astronauts’ space gloves. The special material is designed to maintain a suitable temperature for optimum comfort. Basically, space pants. NASA’s Ames Research Centre originally developed liquid-cooled garments to keep astronauts’ airtight spacesuits from becoming hot and humid. 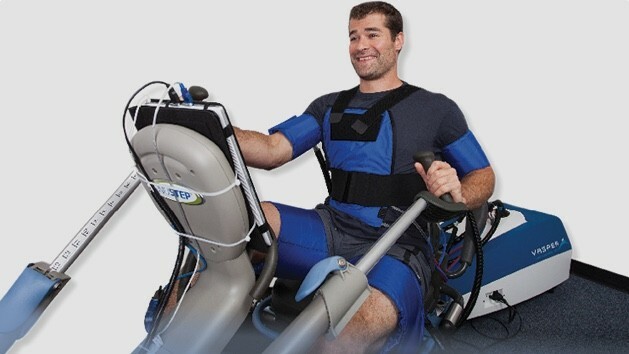 The technology has since been used by California-based Vasper Systems to produce compression garments which are designed for more efficient exercise by concentrating lactic acid buildup in the muscles. You can read the rest of the article at Wareable (originally published 8 April 2015). From the famous Mercury Seven astronauts to the spacemen and women on the ISS, what these pioneers wear is absolutely critical when it comes to coping with life at Zero-G. While the first watch to make it into space was a Sturmanskie, worn by cosmonaut Yuri Gagarin, the official watch of the Apollo moon landings was the Omega Speedmaster. But it was the Timex Datalink that was arguably the first smartwatch in space as it was also the very first watch capable of downloading information from a computer. Made in conjunction with Microsoft, the watch has been approved by Nasa for space travel and has been worn by many astronauts since, but the Speedmaster remains the only watch certified for spacewalks. 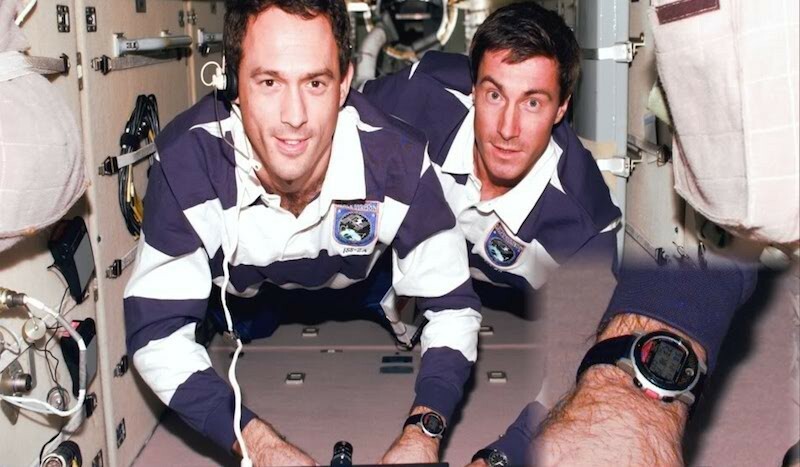 Wearable health monitors have been a big part of human spaceflight from the start, with all of the Mercury, Gemini and Apollo astronauts wearing biosensors ranging from a belt-like harness to a full biosuit comprising heart rate, body temperature and blood pressure monitors. 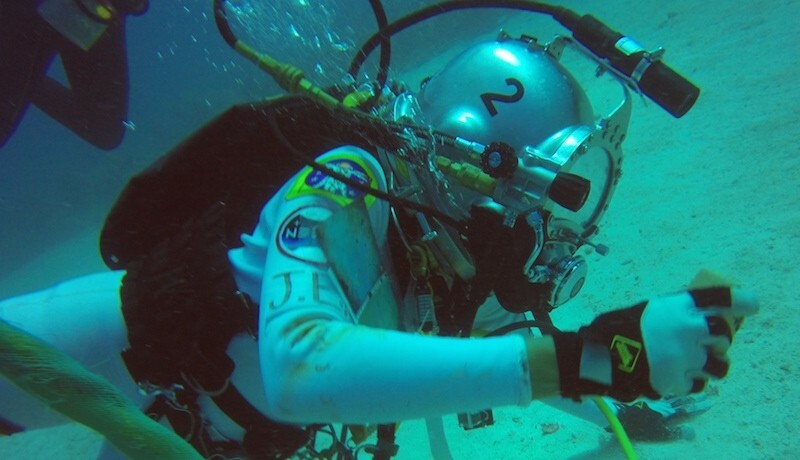 Nasa recently tested out Google Glass and Bluetooth heart rate monitors during simulated space walks on its Neemo (Nasa Extreme Environment Mission Operations) underwater facility for potential use on the ISS in future. 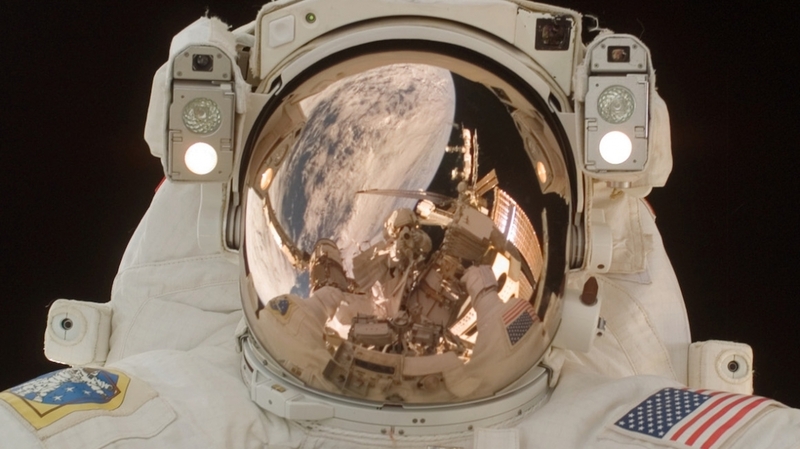 Action cam specialist GoPro was named ‘official on-board camera of Nasa’ in 2011. Used by astronauts on the International Space Station (ISS), and famously by Felix Baumgartner in his epic space jump, the brand’s Hero 3 is compatible with a huge selection of mounts, ideal for keeping the action steady in zero gravity. You can read the rest of the article at Wareable (originally published 28 September 2014). 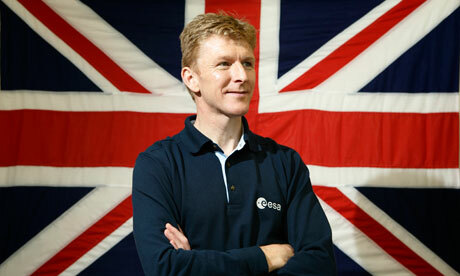 Next year Tim Peake, a former Major in the British Army Air Corps, will be Britain’s first official astronaut to make it into space. Selected by the European Space Agency (ESA), Peake will fly to the International Space Station (ISS) where he’ll spend six months carrying out experiments on the ESA’s Columbus laboratory module. While he’ll be our first official astronaut, he won’t be the first Briton in space – that honour goes to Helen Sharman, a chemist who was selected from 13,000 hopefuls for Project Juno – a joint mission between the Soviet Union and a consortium of British companies in 1991. Sharman was also the first woman aboard the Mir space station. 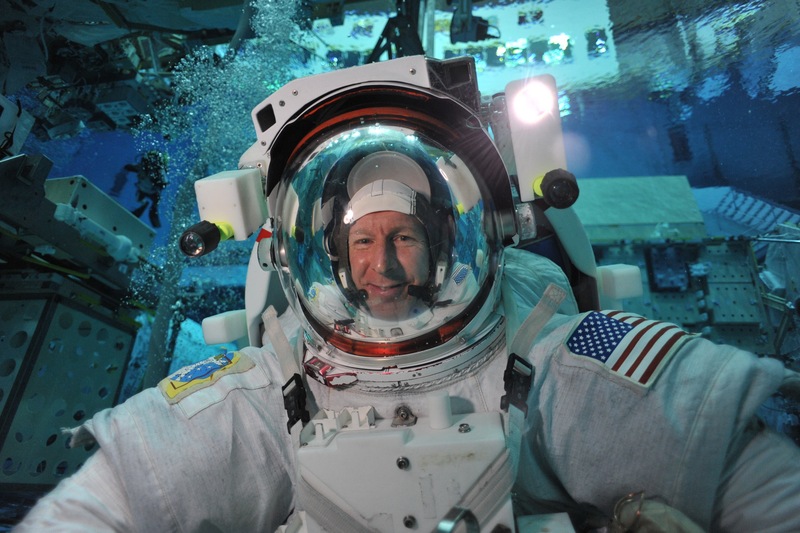 A handful of Brits – albeit ones with American citizenship – flew missions aboard Nasa’s space shuttle programme before its retirement in 2011, while two other astronauts with dual nationality took self-funded flights on the Russian Soyuz. 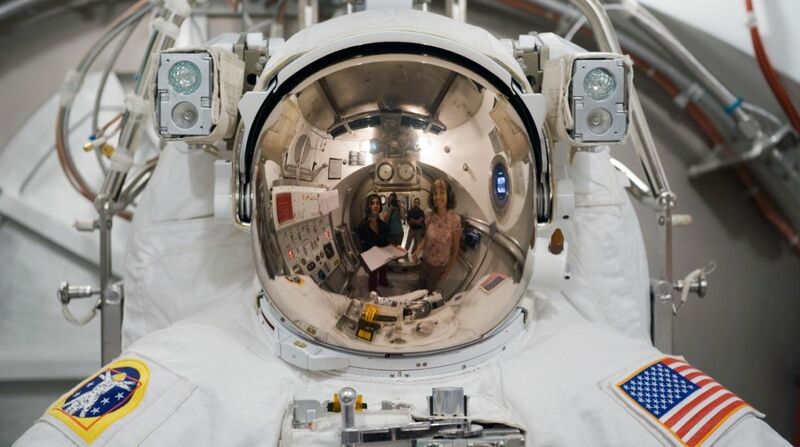 Bizarrely, English soprano Sarah Brightman is in training for a privately funded seat aboard the Soyuz in 2015. 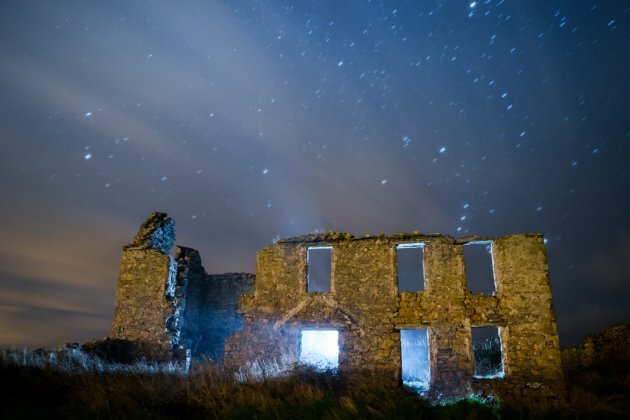 However, Peake is the first to boldly go where just a handful of Brits have gone before as part of an official astronaut corps and is due to blast off on Soyuz TMA-19M in November 2015 as part of Expedition 46, alongside Russian Commander Yuri Malenchenko and Nasa’s Timothy Kopra. As a home-grown space adventurer, clearly Peake has the potential to become something of a celebrity, in a similar vein to Canadian astronaut Chris Hadfield (@Cmdr_Hadfield), whose Tweets from the ISS managed to captivate the Twitterverse and make being an astronaut look like just about the best thing in the world (and beyond). Peake has already made a great start as poster boy for the British space contingent on Twitter (@astro_timpeake) and Flickr and he hasn’t even left the planet yet. 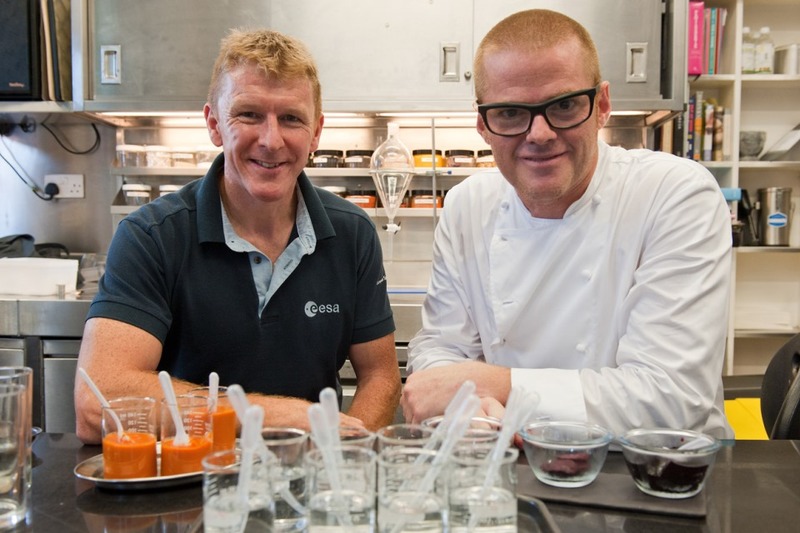 While he might not be blessing us with his vocal talents (or lack thereof) any time soon, Peake has teamed up with maverick chef Heston Blumenthal to launch the Great British Space Dinner – a competition to invent a “tasty meal with a hint of Britishness” to offer a cosy slice of home while he’s on the space station. And while we’re on the subject of taste, it’s no secret that Lavazza recently unveiled the first coffee machine designed for use in space – the superbly named ISSpresso – which will make its way to the ISS in November 2014. But wouldn’t Brit Peake prefer a nice cup of tea? “Tea in the morning, and a cup of coffee at 11 o’clock”. He didn’t say what biscuits he prefers with his cuppa, but his quintessentially British precision when it comes to hot beverage timetables is admirable. Space-friendly coffee machines aside, the list of innovations that filter through from space exploration programmes to consumers is, well, astronomical. From new ways of improving commercial flight safety and superconductors that enable lower cost MRI scanners, to producing more realistic terrains in video games and making your car seats more comfy – it’s almost certain that you will have benefitted from these advances in some way. Nasa estimates that over the last ten years alone, its spinoff innovations have created 18,000 jobs, reduced costs by $4.9bn, generated $5.1bn and saved 444,000 lives. But if spaceflight is so beneficial to us down on Earth, then why has the UK never made any plans to put together a British astronaut corps? As you can probably guess, it all comes down to cost – with a manned spaceflight programme deemed prohibitively expensive for our frugal country’s wallet. However, while the UK Space Agency doesn’t have its own crew of astronauts, it is a member of the ESA, providing a rather modest 6% of the European collective’s budget (although it doesn’t supply any direct funding for the ISS). 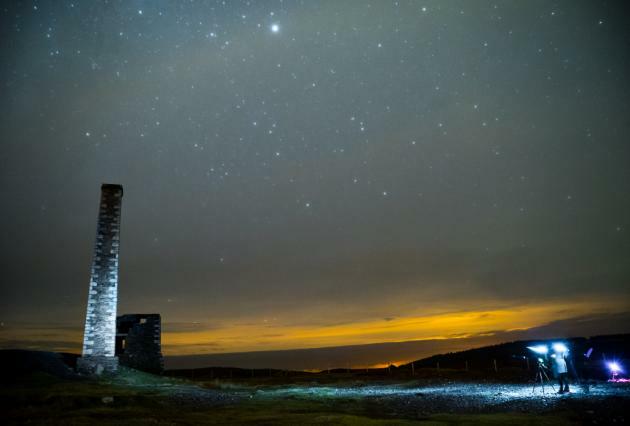 Further adding to Blighty’s space credentials, the UK Space Agency recently announced the eight coastal locations – six of which are in Scotland – that are under consideration to become the UK’s first spaceport. Due to open by 2018, the first site would provide a base for satellite launches as well as defence and military applications. It could also provide a lift-off point for space tourism companies like Richard Branson’s Virgin Galactic. Of all the suggested sites, my personal preference for a ‘local’ spaceport would have to be Glasgow Prestwick Airport, purely as it was the only place where Elvis Presley ever set foot in the UK thanks to a refueling stop en route from his army service in Germany. Just imagine the crossover merchandise possibilities in the gift shop. In the meantime, Tim Peake will be flying the flag for the UK, and hopefully learning the chords to Space Oddity, if only because the lyric “Ground control to Major Tim…” is simply too good to waste. Let’s all raise our bone china teacups to the Great British Take-Off. This article was originally published on 17 July 2014 on The Huffington Post UK.